The new Razer Blade gaming laptop is a real looker. Decked out in matt black, this slim 15.6-inch gaming notebook is, according to the gaming company, the "smallest gaming laptop in its class". Its compact size is made possible by slim 4.9mm-thick bezels around its screen. Narrow bezels have become the norm in ultrabooks, but are still a novelty in gaming notebooks. The Razer Blade has just a handful of rivals, from Aftershock, Gigabyte and MSI, in this slim gaming laptop category. Having tested all of these gaming laptops in the past two months, I feel the Blade stands out from the competition with its build quality. Thanks to its unibody aluminium chassis, it feels solid with barely any creak. Compared with its predecessor, the new Blade is more squarish and angular with sharper corners. It is still prone to attracting visible fingerprints. Its weight has gone up slightly to just over 2kg, though the screen size has also increased from 14 inches to 15.6 inches. More importantly, the display comes with a high refresh rate of 144Hz, though the entry-level model still has a standard 60Hz screen. A screen with a high refresh rate enables a smooth gaming experience that feels more responsive and less laggy. The 1,920 x 1,080-pixel display gets very bright at its maximum setting, causing the dark scenes in my test video to look washed out and greyish. Viewing angles are good, with only slight colour shifts when seen from the sides. Gamers typically use a gaming mouse, so the touchpad is not that important on a gaming laptop. The Blade, though, has a large touchpad that is pleasant to use. It feels smooth and sensitive with ample room for multi-finger gestures. On the other hand, its Chroma keyboard is shallow and feels more like the ones found in ultrabooks. It also lacks a numeric keypad. Instead, Razer has put stereo speakers at the sides, with the keyboard sandwiched in the middle. As a result, its audio sounded loud and clear, especially in games and movies. Each key has its own LED backlight that can be adjusted using the Razer Synapse software. There are various lighting effects to choose from in the Synapse app. It can also control other Razer Chroma-enabled devices, such as gaming mice and computer speakers. In fact, Razer sells a Chroma laptop stand ($159.90) for the Blade that comes with a multicoloured LED light strip and a built-in USB hub with three ports. I find the Blade's three USB ports to be sufficient, especially as it also has a USB Type-C Thunderbolt 3 port that can connect to an external monitor. What I would have liked is an Ethernet port because a wired connection is likely to be more stable than using Wi-Fi. The Blade comes with Intel's latest six-core processor and a GeForce GTX 1060 Max-Q Design graphics chip. This graphics chip has lower clock speeds than the standard version, which means its performance is not quite on a par with the latter. It should still be capable enough for most gamers. It scored 66 frames per second (fps) in Crysis 3 at Very High setting and 74fps in Doom at Ultra setting. Razer says the Blade's internal fans use vapour chambers filled with coolant to keep the laptop cool. While I still found the bottom of the laptop too warm for my liking during gaming sessions, the fans were not as noisy as other slim gaming laptops while running a game. Gaming notebooks are not known for their battery stamina and the Blade is no exception. 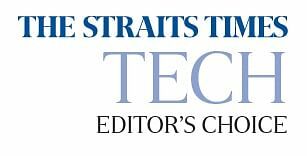 It lasted only three hours and 18 minutes in The Straits Times' video-loop battery test, despite packing a large 80 watt-hour battery. • Verdict: The revamped Razer Blade gaming laptop is sleek, attractive and well-built.